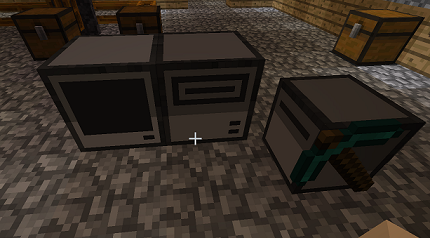 There are two mods (that I’m aware of) for Minecraft which let you build computers inside the game. ComputerCraft allows you to have Lua-programmable computers and robots, with basic wired and wireless networking capabilities. RedPower 2 on the other hand has a 6502-like CPU based computers, which are programmable either using 6502 Assembly or FORTH. What if you used Minecraft and one of these mods as an environment to teach programming? I’ve been playing Minecraft lately and using ComputerCraft to automate and create things. I found it very fun and easy to learn, but why would it be a good environment to teach a beginner? I’ll concentrate on ComputerCraft, since RedPower 2’s computers are much lower level and thus harder to use for anything practical in-game. So as a sandbox for creating and adventuring in the autogenerated land, it’s quite nice, especially with some modding. Why does this make for a good environment to learn programming in? This is quite a lot of things. Although the built in applications allow you to do some basic testing, for most things you will need to write a custom program. If adding RedPower 2 computers to the mix, low-level systems programming with assembly could also be added to the list above. But what makes it a particularly engaging environment to learn in my opinion is that everything is very much your own creations. You first build it yourself from the ground up. Then set up the wiring necessary for connecting it. Then you write the program, and watch it come to life. It gives you feedback very quickly and seeing it work is very rewarding. Considering you don’t need a lot of code for basic applications and basics of Lua are easy to pick up, it makes it very easy to use. The inclusion of easy to program robots only adds to the possibilities. For example, there’s a video on YouTube highlighting using the robot as a makeshift bomber, dropping TNT as bombs. The fact that the options are almost endless really makes this something where it’s a very personalized experience. 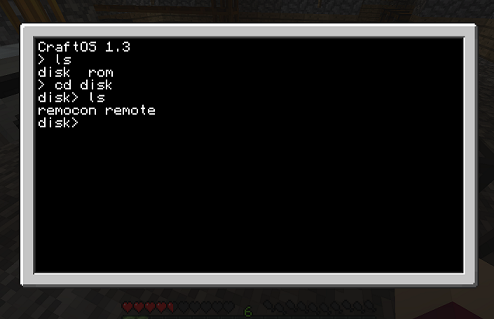 The community is also creating further modifications to ComputerCraft itself, and it’s possible to combine the computers with many other mods’ additions, so the only limitation is really what you can imagine. And, unlike with a bucket of Legos, there is no limit to resources in Minecraft. Of course there are some downsides as well. You can teach the general aspects of programming though, such as variables, functions, object oriented programming, and the things mentioned earlier like networking things (albeit a bit simplistic model). However, besides this, it’s probably a bit impractical due to Lua not being a very commonly used language. So while you can do a lot of things and learn a lot of programming, you will very likely need to learn another language for anything that you do outside Minecraft – which may or may not be a bad thing depending on how you look at it. Secondly, it’s Minecraft. You could easily get sidetracked with building some megaproject… but you probably would use the computers to automate that afterwards. As is demonstrated on YouTube, teaching programming with Minecraft could be very viable. Although the video doesn’t really go into much details, it looks like something which could work. If nothing else, I think it’s at least a very interesting idea and I’d love to see it taken further. Infact, a comment on Twitter from ComputerCraft creator dan200 would indicate there could be some further plans for education using ComputerCraft. There’s really a lot of things for all skills levels, from simple password protected doors and keycard systems, to centralized user management servers with networking, and nuclear powerplant control systems, or robots which dig tunnels for you or even build houses. And everything has a very quick feedback loop, so you will always have a feeling of achieving something. If you want to try this yourself, the mod pack I’m using is Tekkit, with general documentation available in the Tekkit Wiki, computers and programming docs in the ComputerCraft wiki, information on building machines in the IndustrialCraft wiki and BuildCraft wiki, and computers and machines info in the RedPower 2 wiki. Let me know your thoughts in the comments, I’d love to hear from you especially if you have used Minecraft in teaching or are planning to.